1)His has more vibrant colours, and good pokemon sprites/Pictures. 2) I prefer the pokemon on his. 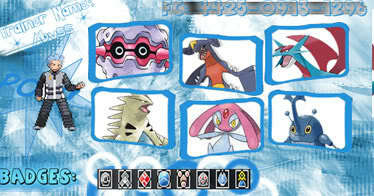 3)Mr Cancer's has white bits around the pokemon. No Problem - I genuinly think that yours has an edge over the other one (although Mr. Cancer's is also very good! When i first came 2 this web site, i thought Hiro's sight banner was a pro's that yall used. I DIDN'T KNOW HE MADE IT. THAT'S kewl. Subject: Re: Better site banner?